Fair enough. I just assumed that they wouldn't actually stream the games for all the reasons the article lists. 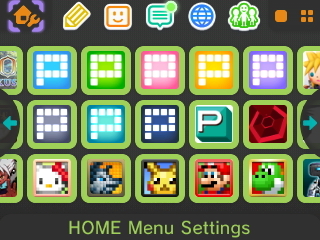 Unless they're running some of the high-spec emulators that go for complete accuracy, like Blast 'Em and Higen. I'd stalled out on the 4th Case of Ace Attorney 5 quite some time ago. But with the ENG patch for DGS out, and me having to wait until my flash card slowly makes its way over the ring of fire by boat, I thought now would be the prefect time to catch up on both that and 6. Finally finished it... I dunno why I didn't before! The first few cases in the game weren't amazing or anything, but the last one... really good! A touch on the predictable side, but still had some great twists. Supposedly it's a Capcom arcade focused game collection built into an all in one box in the vein of the NES/SNES Classics. 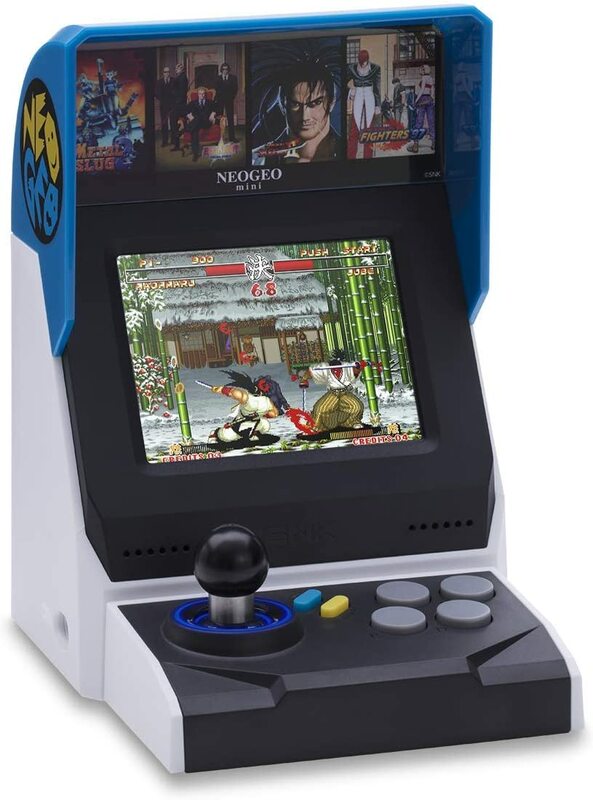 That article mentions it may be 'premium' styled and price piece of kit with full sized arcade sticks and buttons. The Alien vs Predator game would be awesome, though kind of surprising as I assume that would involve getting various licensee's approval. I guess they did it for the D&D arcade games a few years back, so there is precedent. The Alien and Predator licenses involve... Fox? Or is it Disney now? I guess in the future it'll be Disney for sure. Disney does seem OK with reissuing their classic games in some format at least, though they typically seem to push for a full remake like the new Ducktales or a Disney exclusive enhanced collection, like the recent Disney Afternoon Collection. Last edited by Kairu; 04-15-2019 at 01:13 PM. Sort of like that mini Neo Geo arcade machine? 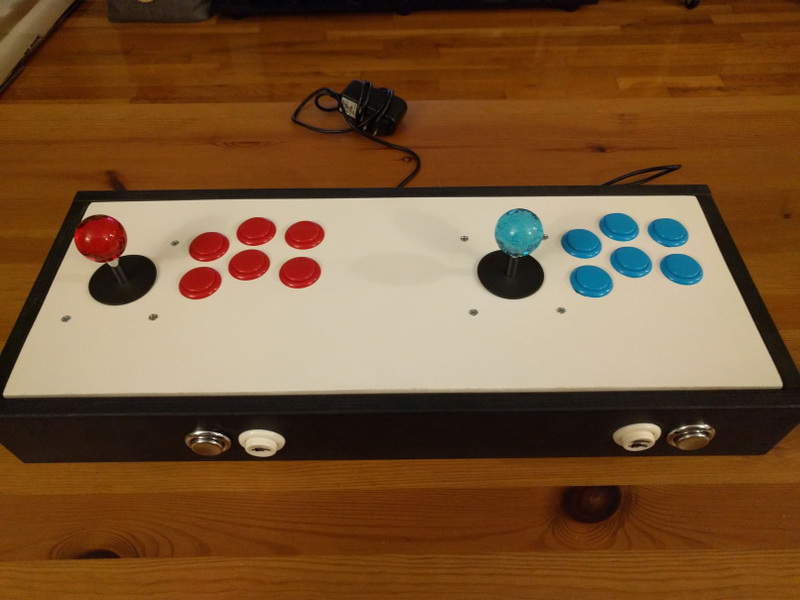 They're a pretty popular do-it-yourself project, but I'm not aware of any official models—probably because two separate arcade sticks make a lot more sense. I wanna make a Hitbox one of these days. Seems like it would make dishing out fireballs and uppercuts a lot easier. Whatever games Capcom is giving us, I hope they put the games out again on current consoles so we can use whatever joysticks/controllers/hacked fishing rods we want. I legit guffawed when I saw what this thing is going to look like. I don't actually like playing games with arcade sticks, so I probably won't be getting one of these. I really really really hope this means they can put Alien vs Predator on something else, though. Yup, no, I'm good. Also, who picked these games? That’s a really good selection of games, and I like the look of the controller, but it’s certainly not good enough to justify that price tag. Someone really smart, because that's an excellent selection. What issue do you have with it? I'm surprised it's not underlit and plays their old chiptune as it lights up. Just.. wow. It's f'n hideous. And maybe uncomfortable? Why not make it look like the iconic SF2 control panel? You can buy the SEA versions of the games for PS4 off Amazon now (well, V and X are probably niche retailers only by now), and those have late PS1/PS2 era quality EN localizations baked into the region free disc. I dunno if they did the same for T's Switch version. There is a physical SEA Switch version with English options, and it's possible to buy SEA download codes from stores, but since there is no SEA eShop you can't get it digitally otherwise. Also X and T both had their translation headed up by Christina Rose, who is known for having done a lot of the older SRW fan translations. I still want to get the Switch version, but I'm trying to find a place I can get it from that isn't Play-Asia. 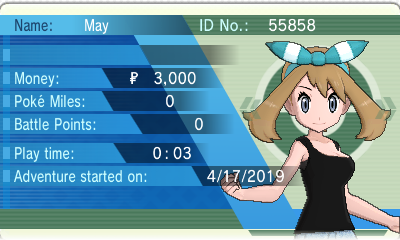 I could have gotten it on PS4 by now, but after the way I petered out on V and X despite really loving them, I think I just can't stand playing games on my couch in front of the big TV anymore. SNK is apparently making some kind of new Neo-Geo hardware. And a new Metal Slug. I'm... I don't know, maybe I've been burned one too many times, but I'll believe it's worth getting excited about when I see it. I don't imagine SNK is going to try to compete with Sony, Microsoft and Nintendo, so what is this actually going to be? I'll file this one under extremely cautiously optimistic. I'm surprised I haven't seen this mentioned on TT anywhere yet (maybe I missed it? ), but MS is releasing an XBONE with no disc drive and a 1TB hard drive. It also comes with 3 games already on it and three $1 months of game pass. I have no interest in the product itself, but I think its existence has some interesting implications. as far as i've heard, the next box having a disc driveless version has been rumored for A While Now. This is actually the first version of the Xbone that feels 100% up my alley. The amusing thing is that this is basically their initial plans for the xbone. Price is a bit too high though for being the cheap model, at least for me. Yeah, I was expecting them to be much more aggressive in their pricing with the digital Xbox One. I thought the whole point of the thing was to get you to subscribe to Game Pass and Xbox Gold, but this thing is only a hair cheaper than the version with a disc drive. Plus, if you bought an Xbox One S on sale last year, you probably paid less for it than this thing costs out of the gate! It comes with a few games, which is nice, but Minecraft isn't expensive to buy and Forza Horizon 3 isn't even the latest entry in its series. I was expecting something really small and really cheap, but this is just...a kind of bad deal on an Xbox One S.